My love of knitting is something fierce, and nothing brings me more joy than sharing my passion with others. 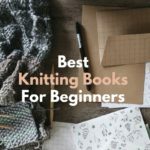 I’ve been knitting for a number of years now and have always knitted patterns I’ve found online or in some of my favorite books without even thinking of creating any of my own. But as I dive deeper into this wondrous hobby, I’ve felt the need to expand my repertoire and venture into more complex stuff. 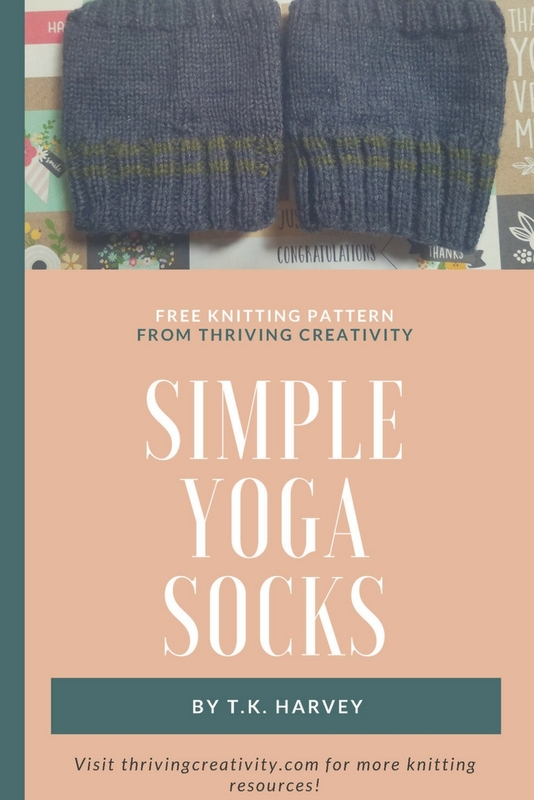 I came across a yoga socks knitting pattern and tried it out- check the post HERE– but didn’t really like the texture of the pattern and the look of the sock afterward. So I decided I would try and make my own. 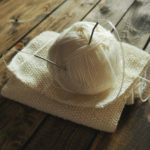 I have made regular socks before and liked the look of stockinette stitch in the round, where all stitches are knitted. I also really like incorporating stripes and alternating colors into patterns. For my first yoga socks knitting pattern, I thought I’d try and start small with just adding a couple small stripes in the cuff of the sock. I’m already on my second pair and this time I am using a striped ball of yarn with colors alternating throughout it. This won’t require the stripe up top but will instead gradually stripe all throughout. I’ll add pictures and possibly update the pattern so that you can see what that looks like in comparison. 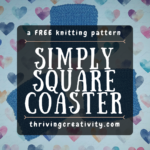 I’ve also created a knitting abbreviation chart and instead of offering each separately, I figured I’d start a FREE resource library where I’ll put all of my favorite created freebies in one place. Click the link below to gain access and you’ll receive an email with the password. 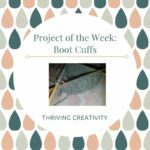 I’ll consistently be adding new resources to the library- I’m finishing up my Convertible Color Pop Mittens pattern that should be finished by next week- and I’ll make sure to keep you updated whenever a new item is added. So, if you’re interested in FREE resources than just click below. 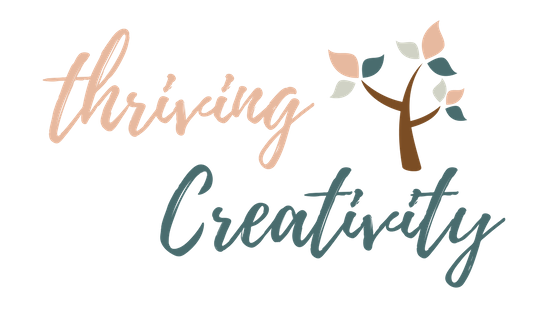 As always, happy crafting, and always let your creativity thrive! 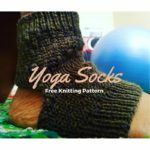 Want To Download My Yoga Socks Knitting Pattern? 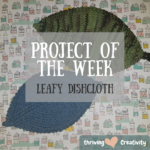 To gain access to this knitting pattern, and all my other free resources, click the button below! Yes! I Want Access To The FREE Resource Library!